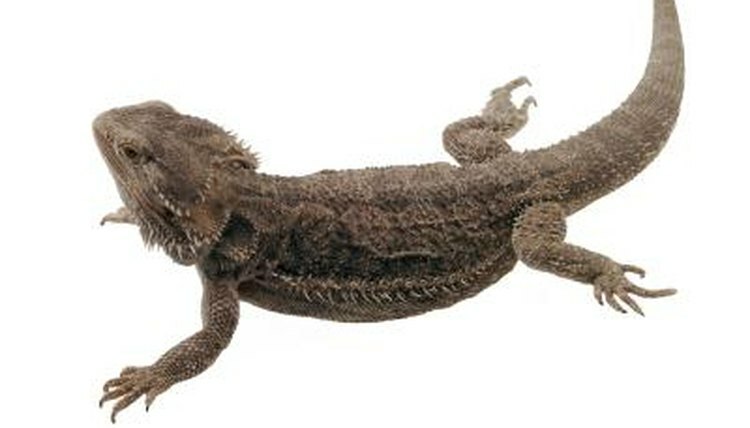 Bearded dragons (Pogona vitticeps) are adaptable lizards that live over large portions of eastern and central Australia. Across this range, the relative humidity varies from 10 to 20 percent in the central deserts, to more than 60 percent near the coast. In captivity, they will thrive in low to moderate humidity; however, perpetually damp, high humidity environments may cause them to fall ill. Despite their preference for arid habitats, bearded dragons do require water to live. The best way to provide water is by misting your lizard and his cage each morning with lukewarm, dechlorinated water; your bearded will drink droplets from the cage walls and furniture. By using the combination of heat lamps, which cause the water in the cage to evaporate, and a screened lid, which allows the moisture to escape the cage, the cage will dry out quickly. Reduce the amount of misting if the cage does not dry out completely a few hours after misting the cage. When your bearded is entering a shed cycle, he will require more moisture; use more water during misting until your lizard sheds his skin completely.